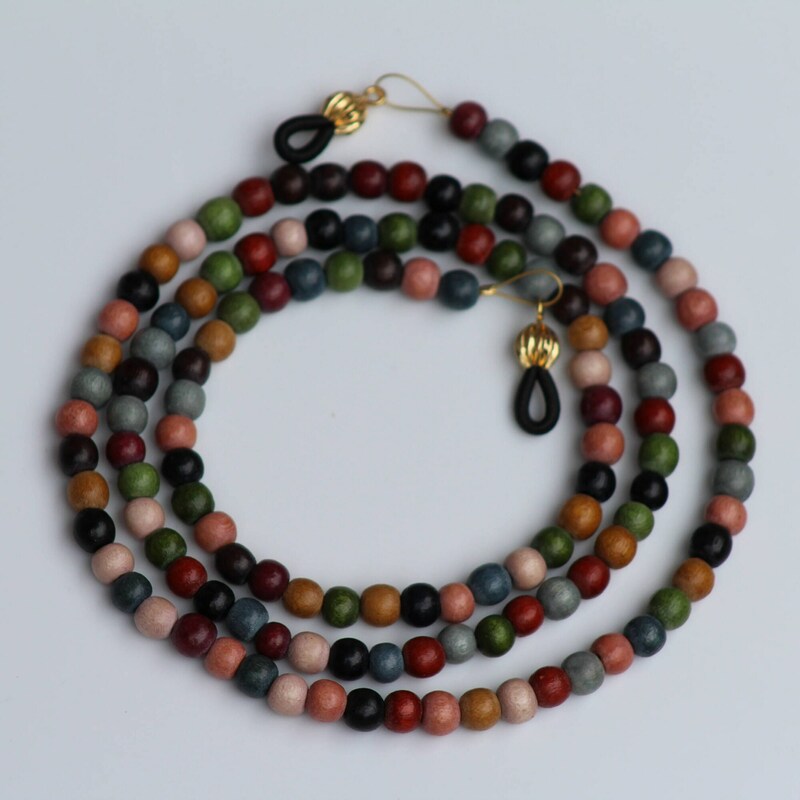 This simple eyeglass chain is made with earth tone wood beads. It is perfect for everyday use, contains multiple colors, and is light in weight so you'll be more than happy to use it all the time! 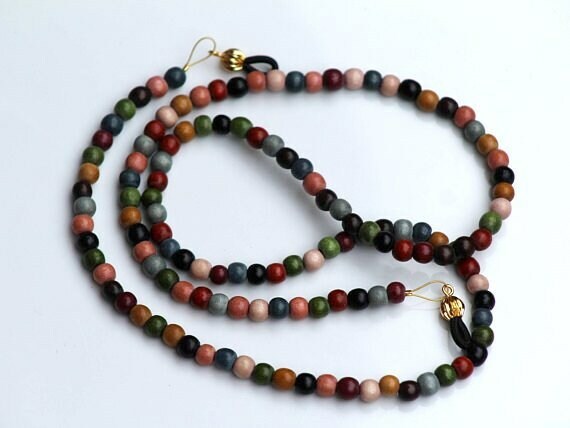 The bead sizes may vary slightly from bead to bead, but are an average of 5mm. This entire eyeglass chain is approximately 30 inches long. 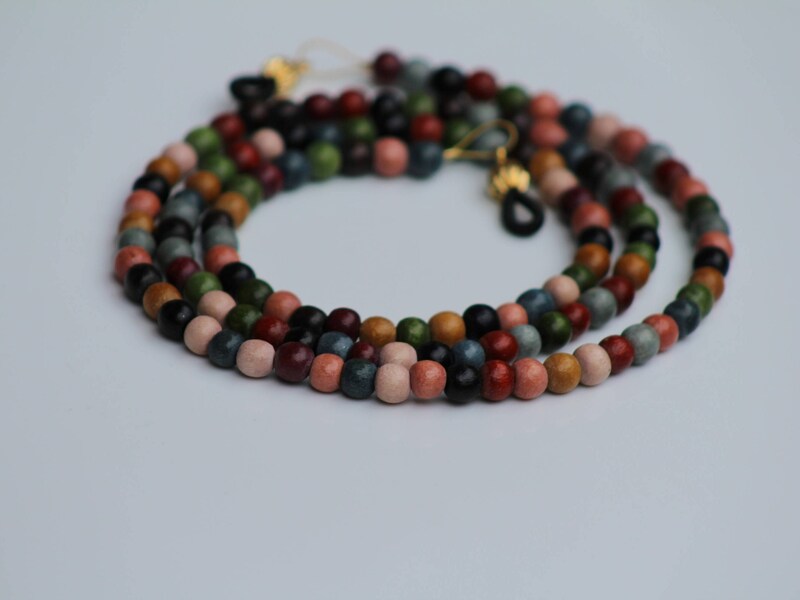 Bead order for each eyeglass chain will vary. 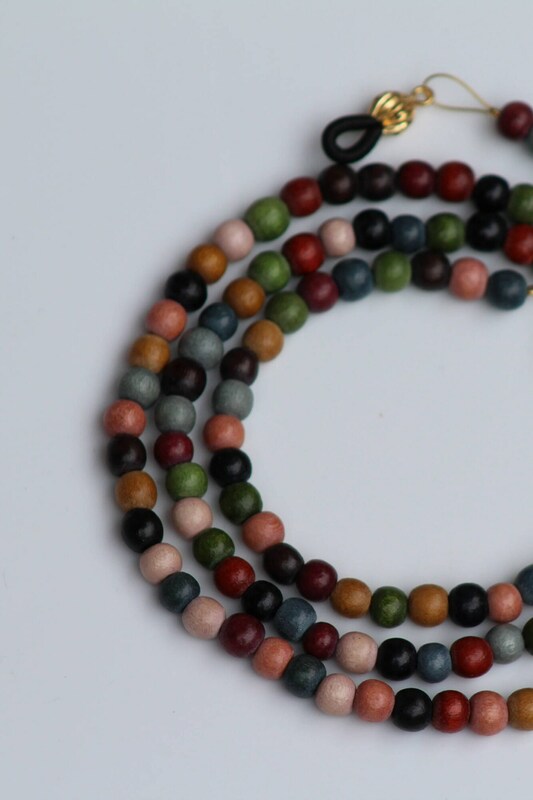 Colors can include cranberry, pink, grey, black, green and more (as pictured above).